13/03/15 -- Soycomplex: Beans closed lower on the day and lower for the week. Today saw a general broad-based commodity sell-off, led by crude oil falling back below $45/barrel on bearish comments that the worst might not be over yet for crude from the US Energy Dept. Goldman Sachs remain bearish on soybeans too, they forecast US prices at $8.75/bushel a year from now - the best part of a dollar below where the March 16 future currently trades. The Buenos Aires Grain Exchange estimated the 2015 soybean crop there at a record 57 MMT, unchanged from it's previous forecast. They indicated that they are still assessing any possible crop losses sustained from the recent flooding in Cordoba and Santa Fe. Lanworth think that the Argentine crop could come in at more than 60 MMT. Brazil's crop is also expected to be a record this year, at somewhere in the 93-95 MMT region versus 86.7 MMT a year ago. The alarming slump in value of the Brazilian real makes selling at current prices for the Brazilian grower a relatively attractive proposition. The real closed at around 3.28 to the US dollar tonight, down sharply from 2.84 just two weeks ago at the end of February and down 40% versus 2.34 a year ago. They haven't even started planting soybeans in the US this year yet, but analysts are already lining up to predict a record area getting sown. Allendale went for 86 million acres earlier this week versus 83.7 million a year ago. Farm Futures Magazine are due out with their estimates next week, before the USDA themselves reveal their planting intentions numbers at the end of the month. The US grower may not be as enamoured with current prices as his Brazilian counterpart, but he won't like the look of corn levels too much either, and be conscious that beans are a less input hungry crop that costs less to grow. Mar 15 Soybeans closed at $9.68 1/4, down 18 1/4 cents; May 15 Soybeans closed at $9.74, down 16 1/2 cents; Mar 15 Soybean Meal closed at $338.00, down $5.50; Mar 15 Soybean Oil closed at 30.19, down 57 points. For the week, front month beans shed 11 cents, meal was $1.00 firmer and oil slumped 95 points. Corn: The corn market ended sharply lower, encouraged by crude falling back close to the multi-year closing low of $44.45/barrel set in late January. Goldman Sachs are no keener on the price of corn twelve months from now than they are of that for soybeans. Whilst they see beans 8.8% lower than where the Mar 16 future currently trades, their prediction of $3.75 for corn prices twelve months hence is 9.4% lower than tonight's close of the Mar 16 future. "With recently improved weather conditions in South America, global production for 2014/15 should remain ample and we continue to expect prices to moderate from current levels," they said. The Buenos Aires Grain Exchange were unchanged on their forecast for the Argentine 2014/15 corn crop at 22.5 MMT, a 16.6% fall on the 27 MMT collected last year. Harvesting of that is underway, but remains hampered by rain. They estimated the harvest at 3.4% complete, up only 0.7 points on a week ago. The US dollar rallied to its best levels since April 2003 today, which will continue to hamper US export prospects going forward. The plight of the Brazilian real meanwhile will keep helping their exports right in the middle of harvesting of the first corn crop. Dr Cordonnier says that the sharp drop in value of the real is encouraging some Brazilian farmers to take a second look at their planting intentions for safrinha corn. "Some analysts, who were anticipating a reduction of safrinha corn acreage in 2015 due to low prices, have now re-evaluated the situation and are estimating an slight increase in safrinha corn acreage due to improving prices," he says. 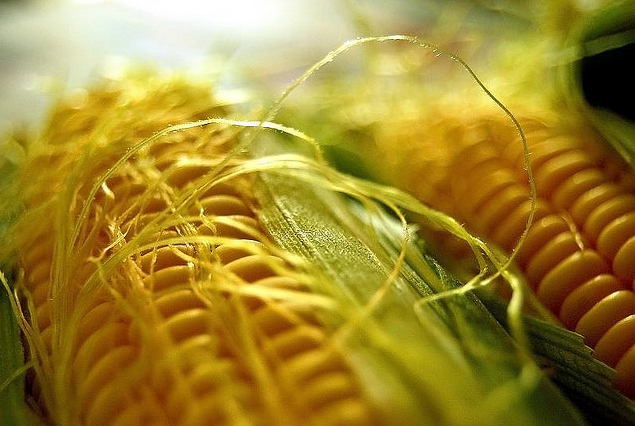 "This week generally marks the end of the ideal window for planting safrinha corn in Parana. 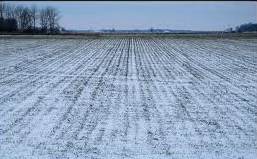 Any corn planted past mid-March runs the risk of cold weather or dry conditions impacting the crop during the important grain filling phase of development resulting in reduced yields," he added. Mar 15 Corn closed at $3.74, down 8 1/4 cents; May 15 Corn closed at $3.80 1/2, down 8 cents. For the week the front month Mar 15 corn fell 5 1/4 cents. Wheat: The wheat market closed lower, reversing a run of five days of straight gains. Prices still posted decent gains for the week however, which is probably best attributed to short-covering. Talk of dryness on the Southern Plains, and possible significant winterkill issues in northern Kansas are doing the rounds, which has maybe encouraged one or two to get out of their short positions. With the US dollar so firm though, this isn't likely to be a demand-led rally, even if weekly export sales this week were better than expected. Protracted euro weakness keeps driving the bulk of the global wheat buyers to look at Europe as a first option. Strategie Grains forecast the EU-28 soft wheat crop down 5.6% this year at 140.4 MMT, although the still see 2015/16 ending stocks rising to a 10-year high. With most analysts seeing the dollar remaining strong, and the euro weak, world demand looks likely to keep focused on Europe for some time to come. 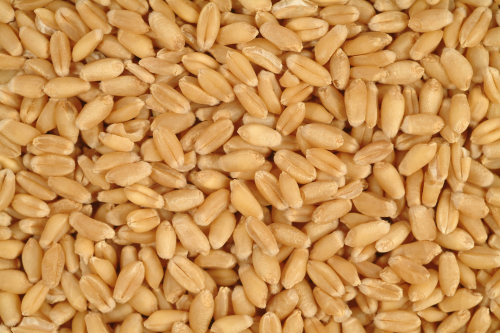 Tunisia bought 92 TMT of optional origin soft milling wheat and 75 TMT of optional origin barley in a tender. Pakistan's 2015 wheat harvest is underway and could reach 26 MMT this year, up 1 MMT from a year ago. The Pakistan government said that they aim to buy 6.6 MMT of wheat for state-owned stocks on the domestic market this year. India's wheat harvest will get going very soon, and is expected to maybe be around 1 MMT lower than last year. India's state-owned stocks are still more than ample. Goldman Sachs predicted Chicago wheat prices at $5.30 three months from now, which is more than 25 cents better than tonight's close of the July 15 future. In Brazil, the weak real means that "the domestic price of wheat has also increased, but not nearly as dramatically as corn due to burdensome supplies of wheat carried over from last year's production. Farmers in the state (of Parana) are still holding 900,000 MT of last year's 3.8 MMT wheat production," said Dr Cordonnier. Mar 15 CBOT Wheat closed at $5.08 3/4, down 4 1/2 cents; Mar 15 KCBT Wheat closed at $5.41 3/4, down 4 3/4 cents; Mar 15 MGEX Wheat closed at $5.54 1/2, down 2 1/4 cents. 13/03/15 -- EU grains closed mostly lower on the day, but higher for the week. A general commodity slump today didn't help the cause, with crude tumbling below $45/barrel in the US for a loss of almost 10% on the week. It was a bit of a "Friday the Thirteenth" day, with most of the board painted red, save for the odd exception here and there, and any dollar-led exchange rates. The day ended with Mar 15 London wheat down GBP0.95/tonne at GBP117.80/tonne, May 15 Paris wheat clawed its way EUR0.25/tonne higher to EUR190.25/tonne, Jun 15 Paris corn fell EUR0.75/tonne to EUR164.25/tonne and May 15 Paris rapeseed was up EUR0.75/tonne at EUR369.00/tonne. For the week though, London wheat still posted a net gain on GBP1.55/tonne, whilst Paris wheat added an impressive EUR9.25/tonne. Paris corn finished the week EUR5.25/tonne higher than it began it and Paris rapeseed rose EUR6.50/tonne versus last Friday. The weak euro/strong US dollar combination is clearly an aid for EU exports, as backed up by yesterday's weekly soft wheat export licence total being the second highest ever. Falling crude oil prices remain a worry though. The US Energy Dept said that any appearance of stability in the world oil market has it's foundations built on shaky ground. “Behind the facade of stability, the rebalancing triggered by the price collapse has yet to run its course, and it might be overly optimistic to expect it to proceed smoothly,” they said. That isn't likely to help the struggling UK and EU bioethanol industries one jot. It will also hurt the revenue of oil exporting nations, thereby reducing the ability to fund wheat imports of some nations heavily reliant on crude sales to boost their income. Whilst EU-28 grain production is seen lower this year, the large carryover stocks left over from the current season, look set to further boost ending stocks in 2015/16. Strategie Grains forecast the EU-28 2015/16 soft wheat crop at 140.4 MMT, down 5.6% from last year. Production in France is seen virtually unchanged at 37.4 MMT, but output will fall 6.5% in Germany to 25.9 MMT, it will decline 9.6% in the UK to 15.0 MMT and drop 8.6% in Poland to 10.6 MMT, they estimate. They still predicted ending stocks at a 10-year high yesterday though. For barley, the French analysts see the EU-28 crop down 3.8% at 58.1 MMT this year, with the French crop dropping 1.7% to 11.5 MMT and output in the UK down 4.3% to 6.6 MMT. The EU-28 corn crop will fall 9.3% to 68.2 MMT this year, they predict. Output in France will tumble 13.4% to 15.5 MMT, with Hungary down 14% to 8.0 MMT and Romania down 12.4% to 9.9 MMT, they say. Origin Enterprises meanwhile estimate to UK winter wheat area virtually unchanged this year at 1.95 million hectares. That compares to the HGCA's figure of a 7% decline in England and Wales to 1.69 million ha. The Scottish winter wheat area last year was a little over 100k ha, so a similar area this year would probably have the HGCA lining up around 1.8 million ha for the UK as a whole. Origin are also at odds with the HGCA in their forecast for the UK winter OSR area, which they see down 10% year-on-year at 620k ha. The HGCA forecast the combined area of England and Wales alone at more than that (633k ha) - although that does include any spring plantings too. For reference, the Sottish OSR area last year was a little over 40k ha. The latest customs data from the HMR&C shows that the UK only exported 137 TMT of wheat in January, down from 225 TMT in December. Cumulative exports are now at 1.08 MMT this season - a not particularly impressive total. This is the lowest figure in recent years when the UK has been a net exporter (ie excluding the last two), say the HGCA. The pace of UK wheat imports meanwhile, at 111 TMT in January, whilst down from December's total is still "surprising in the context of the sizeable UK crop this year," the HGCA add. In other news, Russia's spring planting campaign has been completed on 200k ha, or 0.4% of the government's target for the year. Ukraine's spring planting has been completed on 155k ha, or 6% of the government forecast for 2015. FranceAgriMer estimated French winter wheat crop conditions unchanged on a week ago at an impressive 91% good to very good, up sharply from 75% a year ago. French winter barley ratings rose one point in the good to very good category to 91% versus 73% a year ago. They said that the French spring barley crop is 46% sown, up from 24% a week ago and versus only 17% this time last year. Crop conditions might be good, but maturity is lagging 12 months ago at this stage. The proportion of the French winter wheat crop displaying an ear of at least 1cm is only 7%, which is 10 points below a year ago. The French winter barley crop at that stage is 4% compared to 11% this time last year. Germany's DRV released their first forecasts for crop production there this year today, estimating production lower for winter wheat, barley and OSR on a combination of reduced area and lower projected yields for all three crops. For winter wheat, they estimate output down 4.1% at 26.3 MMT. They see 2015/16 winter barley production down 4.8% at 9.0 MMT, and estimate this year's OSR crop to fall 16.6% to 5.2 MMT. 12/03/15 -- Soycomplex: Beans closed lower on disappointing weekly export sales of only 167,900 MT for 2014/15, which were down 66 percent from the previous week and 70 percent below the prior 4-week average. There were also net sales of 30,800 MT for 2015/16. Old crop cancellations of 263,700 MT helped drag sales for 2014/15 into the mire. Even so, cumulative sales for the current marketing year are still 98% of the USDA target versus 93% typically at this time. Meal sales were 101,300 MT for 2014/15, down 22 percent from the previous week and down 36 percent from the prior 4-week average. Cumulative meal sales are 78% of the USDA estimate for the season. "While meeting the export expectations will happen, I don’t know how or when the demand justifies tightening the balance sheet to levels that would support prices above the current levels," said Benson Quinn. There's talk of Europe switching meal purchases to Brazil. MDA CropCast increased their forecast for the Brazilian soybean crop by 850 TMT to 93.34 MMT, but lowered their outlook on Argentina by 1.22 MMT to 56.12 MMT on wetness issues in the northwest of the country. Mar 15 Soybeans closed at $9.86 1/2, down 2 1/2 cents; May 15 Soybeans closed at $9.90 1/2, down 2 1/4 cents; Mar 15 Soybean Meal closed at $343.50, down $2.20; Mar 15 Soybean Oil closed at 30.76, down 21 points. Corn: The corn market closed around 2-3 cents lower. As with beans, weekly export sales disappointed, dragged down by large cancellations (343,300 MT) from unknown destinations. The weekly total came in at 418,000 MT for 2014/15, down 50 percent from the previous week and 52 percent below the prior 4-week average. There were also a couple of sales totalling 96,400 MT for 2015/16. Weekly sorghum sales of 433,000 MT for both marketing years almost matched total corn sales this week. Old crop corn sales are still 79% of the USDA target for the season versus 73% typically at this time. The USDA's FAS in Saudi Arabia said that the country would import 4.5 MMT of corn in 2015/16, a 29% hike on this season's total. MDA CropCast raised their forecast for this year's Brazilian corn crop by 1.21 MMT to 76.91 MMT, and upped Argentina by 430 TMT to 23.15 MMT. There were rumours that the US had purchased 2 cargoes of Brazilian corn for December delivery, although Benson Quinn suggested that this "seemed like a non-starter". It was reported that UkrLandFarming, a large Ukraine agricompany, would leave 110,000 ha of it's landbank fallow this year, a 250% increase on the area left unplanted a year ago and 16.4% of it's total arable area. The implications are there for all to see. especially relating to the smaller producer. Mar 15 Corn closed at $3.82 1/4, down 1 3/4 cents; May 15 Corn closed at $3.88 1/2, down 2 1/2 cents. Wheat: The wheat market closed higher for a fifth straight day. The US dollar retreated from 12 year highs, which may have helped a bit. Weekly export sales were pretty good at 445,200 MT for delivery in the 2014/15 marketing year. That was down 5 percent from the previous week, but up 21 percent from the prior 4-week average. The previous week's total had been inflated by HRW wheat sales to Egypt under a special credit agreement with the US you will recall. This week's sales were unusually headed by 115.00 MT to China. There were also sales of 48,000 MT for 2015/16. There's still talk of dryness issues on the Plains. Japan bought 109,200 MT of US, Canadian and Australian wheat in a tender. South Korea bought 47,000 MT of Australian milling wheat. Tunisia are tendering for 126,000 MT of optional origin milling wheat and 75,000 MT of optional feed barley. The USDA's FAS in Saudi Arabia said that the country would import a record 3.8 MMT of wheat in 2015/16, up 8% from this season. SovEcon said on Twitter that they expect Russia's 2015/16 grain crop to only total 85-92 MMT, versus the official target of 100 MMT and 105.3 MMT last year. They are currently forecasting wheat production to account for 47-53 MMT of that total. Ukraine increased the proportion of this year's winter grain crop rated in good to satisfactory by one point to 83%, although that's still well down on this time last year. Mar 15 CBOT Wheat closed at $5.13 1/4, up 10 1/4 cents; Mar 15 KCBT Wheat closed at $5.46 1/2, up 8 cents; Mar 15 MGEX Wheat closed at $5.56 3/4, up 2 1/4 cents. 12/03/15 -- EU grains closed mixed, with wheat a little higher and corn and OSR lower. 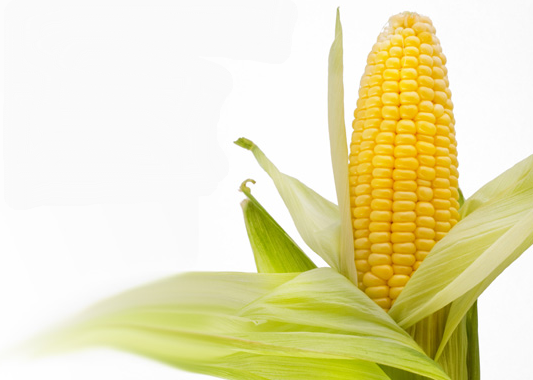 At the finish, Mar 15 London wheat was up GBP0.85/tonne at GBP118.75/tonne; May 15 Paris wheat was EUR2.00/tonne higher at EUR190.00/tonne; Jun 15 Paris corn was EUR0.25/tonne lower at EUR165.00/tonne; May 15 Paris rapeseed was EUR2.75/tonne higher at EUR368.25/tonne. This was the first front month close on Paris wheat in the EUR190's since late January. Sudden strength in Chicago wheat, which was up for a fifth straight session today, was supportive. Even more so was the announcement that Brussels had granted a hefty 1.59 MMT of soft wheat export licences this past week, the second highest volume on record. That was an impressive total, and confirms just how competitive EU wheat is on the international export stage given the acute weakness of the euro. Note that the all time high weekly volume of soft wheat export licences (1.67 MMT) was set only a few weeks ago at the beginning of February. Still, as the season gets closer to winding down, the picture being painted is one of more than ample old crop stocks despite these large foreign sales, and there's the prospect for these to grow again in 2015/16, even if EU production is expected a little lower. Strategie Grains today reduced their forecast for EU-28 soft wheat exports this season by 2.5 MMT to 30.0 MMT, although that is still a rise on last year's record 29.3 MMT. They see exports in 2015/16 declining a little to 29 MMT, and ending stocks next season rising to 20 MMT, which is above even the 10-year high 19.5 MMT forecast by the EU Commission earlier in the week. "The situation is therefore getting heavy again, notably for the main exporting countries (Germany and France) but also in the UK," Strategie Grains said. FranceAgriMer raised their forecast for French wheat exports from 17.8 MMT to 18.0 MMT, although that's still down 6.25% on 19.2 MMT a year ago. They see corn exports at 6.9 MMT versus 6.7 MMT previously and 5.3 MMT a year ago. Barley exports were revised up to 6.0 MMT from 5.8 MMT in February and 5.1 MMT in 2013/14. The French analysts also forecast 2015/16 wheat plantings (excluding durum) at 5.14 million ha, a 2.7% rise on a year ago. They see barley plantings (both spring and winter) at 1.27 million ha, up 3.1% compared to a year ago. The French winter and spring OSR area will decline 1.4% to 1.48 million ha, they added. Ukraine estimated that 83% of their winter crops were in good to satisfactory condition, and 17% weak/thinned. That's a one point improvement on previously. They said that fertiliser had so far been applied on 52% of winter grains and 62% of winter OSR. The Ukraine Ag Ministry said that grain exports so far this season totalled 25.39 MMT, including 9.41 MMT of wheat, 3.87 MMT of barley and 11.85 MMT of corn. Tunisia are in the market for 126,000 MT of optional origin milling wheat and 75,000 MT of optional origin feed barley. Egypt said that they intend to buy 3.5 MMT of wheat for state-owned stocks on the domestic market this year. Bangladesh bought 100,000 MT of imported wheat from Glencore and 150,000 MT of Ukraine wheat, the latter being part of an inter-governmental deal. The USDA's FAS said that Saudi Arabia will import a record 3.8 MMT of wheat in 2015/16, up 8% on this season. Corn imports will climb 29% to 4.5 MMT, although barley imports will fall 30% to 6.8 MMT, they added. 11/03/15 -- Soycomplex: Beans closed higher, despite the firmer dollar. "The price action was corrective, but lacked the aggressive buying the market has seen on other recoveries. The tone for today’s session was set overnight as traders booked profits on short positions," said Benson Quinn. Argentine growers began a 3-day strike today. The Argentine producer is said to be 82% sold on his old crop soybeans and 13.6% committed on new crop. An outbreak of what officials are calling a "highly pathogenic" strain of bird flu in Arkansas got some media attention. So too did Allendale estimating 2015 US soybean plantings at over 86 million acres (a record) versus 83.7 million a year ago. The USDA will update us with their view on potential plantings on Mar 31. Before that we get the regular weekly export sales report tomorrow. Last week's bean sales were 499,500 MT for 2014/15 and a small quantity of new crop. The trade is probably looking for something a little lower this time round, 350-450 TMT, as demand continues to switch to South America. 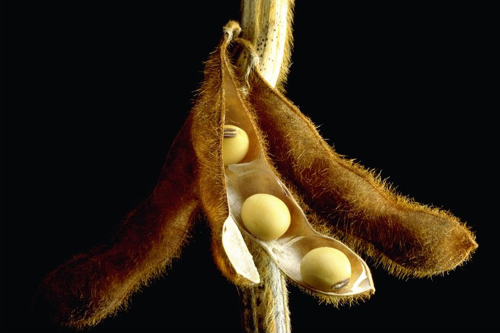 Mar 15 Soybeans closed at $9.89, up 9 cents; May 15 Soybeans closed at $9.92 3/4, up 8 1/4 cents; Mar 15 Soybean Meal closed at $345.70, up $3.70; Mar 15 Soybean Oil closed at 30.97, up 13 points. Corn: The corn market closed around 2-3 cents higher. There was apparently no agreement between the Brazilian truckers and the government in yesterday's meeting, with a rescheduled date now set for Mar 26. We almost certainly haven't heard the last of this issue. Argentine growers are now on strike for three days, and dock workers will undoubtedly also try their hand when the harvest gets going in earnest. In a nutshell, the usual logistical problems can be expected in South America again this spring. Argentine farmers are fully sold on old crop corn and 26.5% committed on new crop, according to their Ag Ministry. 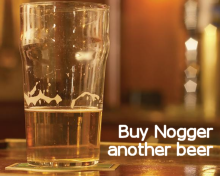 This time a year ago they were only 12.4% sold on new crop. Allendale estimated US 2015 corn plantings at 88.5 million acres, down 2.3% on a year ago and the smallest area since 2010. Farmers are unhappy with current prices, and the fact that their input costs for corn are much higher than for soybeans, they said. US ethanol production rose to 944,000 barrels/day last week, up from 931,000 bpd the previous week, according to the US Energy Dept. Weekly export sales tomorrow are expected in the 600-800,000 MT range. Mar 15 Corn closed at $3.84, up 1 3/4 cents; May 15 Corn closed at $3.91, up 3 cents. Wheat: The wheat market closed higher. Chicago wheat has now been up for four straight sessions, which is actually its best run of 2015 so far. There's talk of dryness on the Southern Plains, which is maybe encouraging some short-covering and/or profit-taking. Fund money was sitting on a hefty short position in Chicago wheat last week you will recall. The strong US dollar however continues to hamper US export prospects. Weekly export sales tomorrow with therefore be of interest. Last week's sales of 469,600 MT for delivery in the 2014/15 marketing year were inflated by the special line of credit granted to Egypt to buy US HRW wheat. I'd expect this week's sales to be lower, in the 250-350,000 MT region. South Korea are tendering for 47,000 MT of Australian wheat for Aug delivery. Taiwan are in the market for 83,950 MT of US milling wheat for Apr-May shipment. Japan are in for a 109,000 MT mixture of US, Canadian and Australian wheat in their regular weekly tender. The Argentine grower is still said to have 17% of his old crop wheat left to sell, along with 40% of his new crop. Rusagrotrans forecast Russia's March grain exports at 1 MMT, with barley accounting for 40% of that total, wheat 35% and corn 30%. Mar 15 CBOT Wheat closed at $5.03, up 6 1/2 cents; Mar 15 KCBT Wheat closed at $5.38 1/2, up 3 3/4 cents; Mar 15 MGEX Wheat closed at $5.54 1/2, up 2 3/4 cents. 11/03/15 -- EU grains closed higher, spurred on by steadier US markets and another bout of dollar strength. At the finish, Mar 15 London wheat was GBP1.45/tonne firmer at GBP117.90/tonne, May 15 Paris wheat was up EUR2.00/tonne at EUR188.00/tonne, Jun 15 Paris corn rose EUR3.25/tonne to EUR165.25/tonne and May 15 Paris rapeseed climbed EUR5.25/tonne higher to EUR371.00/tonne. The pound crashed below 1.50 versus the US dollar, to hit its lowest levels since July 2013. The euro meanwhile took an absolute pasting, slumping to a new more than 7-year low against the pound, and levels not seen versus the dollar in 12 years. Some are now suggesting that euro parity with the US currency could be tested soon. All that bodes well for EU wheat exports to continue apace, these are of course already running at levels better even than last season, which went on to be a record. Before the market gets too cocky though, it needs to be remembered that crop prospects in Europe this year are generally looking pretty good. Although wheat production is seen down, according to the latest estimate from the EU Commission, ending stocks next season are forecast at a 10-year high 19.5 MMT - up 40% on this year. The Commission also forecast another bumper EU barley crop in 2015/16, along with rising ending stocks for that too. 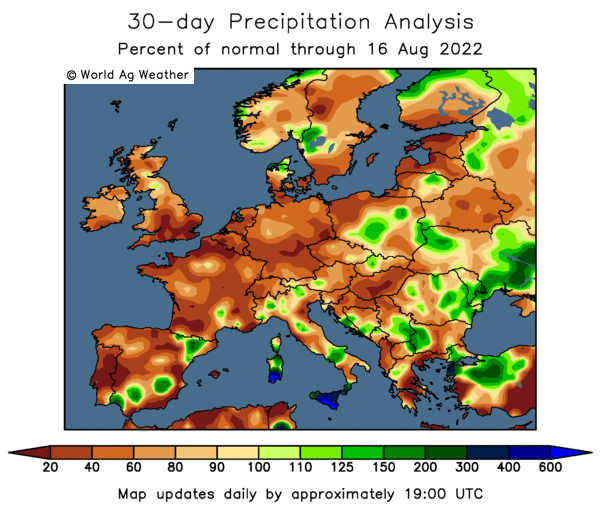 "France, the top EU wheat producing country, has experienced much cooler conditions 2-4 F below average for the past several weeks. Temperatures a year ago were 4-5 F warmer. As wheat is a 'cool season' crop, wheat potential this season is deemed better," said Martell Crop Projections. This is backed up by the latest crop condition ratings from FranceAgriMer showing wheat rated 91% good to very good,far higher than 74% this time a year ago. Winter barley ratings were pegged at 90% good to very good, up from 72% a year ago. "Indeed, all of Europe has experienced cooler temperatures this season, confirmed by a comparison of temperatures in the 45 days up to March 10. Germany, Europe’s second leading wheat nation, one year ago was in the throes of a serious drought. 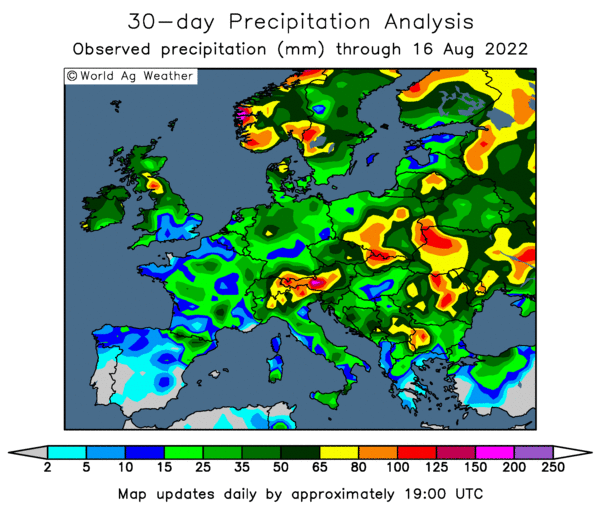 Precipitation has been relatively heavier this winter, which is more favourable for wheat, although one or two stubborn dry pockets have continued in eastern Germany," they added. In other news, Rusagrotrans said that Russia would export around 1 MMT of grains this month, down from 1.23 MMT in February. Barley exports would unusually outstrip those of wheat at 400 TMT, which is 50 TMT more than the latter grain, they said. The Russian Ministry are a bit more bullish on grain exports, predicting that the country will still ship out 5 MMT more between now and the end of the current marketing year at the end of June. That would take this season's exports to around 30 MMT. The Ministry also said that there were currently no plans to alter the export duty situation on wheat, nor to bring corn or barley into the equation. 10/03/15 -- Soycomplex: Beans closed lower, after the release of the March USDA WASDE report. That left global production in 2014/15 completely unchanged, contrary to trade expectations for a reduction in output in Brazil and a rise in Argentina. Chinese imports were also unchanged at 74 MMT, as were US, Brazilian and Argentine exports. The world crush was lowered a little to 254.2 MMT, courtesy of India, with global ending stocks raised a fraction to 89.5 MMT - up 35% on a year ago. US 2014/15 soybean ending stocks were unchanged on last month at 385 million bushels (10.48 MMT), with the trade expecting a reduction to around 377 million bushels. Interestingly, US analyst Alan Brugler reports that final US soybean demand has been larger than the March WASDE estimate every year since 1990 except for 2010/11. Elsewhere, CONAB cut their estimate for Brazil's 2014/15 soybean crop from the 94.6 MMT forecast previously to 93.3 MMT, which is now 1.2 MMT lower than today's unchanged USDA forecast. Mar 15 Soybeans closed at $9.80, down 8 1/4 cents; May 15 Soybeans closed at $9.84 1/2, down 8 3/4 cents; Mar 15 Soybean Meal closed at $342.00, down $1.90; Mar 15 Soybean Oil closed at 30.84, down 4 points. Corn: The corn market ended a tad lower, failing to hold onto early modest gains. These were tied to the fact that the USDA lowered US 2014/15 corn ending stocks more than anticipated. They cut this year’s ending stocks to 1.777 billion bushels versus 1.827 billion previously and the 1.822 billion average trade guess. US 2014/15 exports were raised 1.0 MMT to 45.5 MMT "on recent strong sales and shipments and a longer-than-expected window of competitiveness compared with Brazil and Argentina". Argentine exports were also raised 1 MMT to 14.5 MMT, with Brazil's seen unchanged at 22 MMT. Argentine output was increased by 500,000 MT to 23.5 MMT, which was in line with trade forecasts. Brazil's crop was unchanged at 75 MMT. Production in South Africa was lowered 2 MMT, as expected, to 11.5 MMT. There was no change for Chinese imports, which were left at 2.5 MMT. There were no changes to corn ending stocks among the leading exporting nations, but "others" were cut by more than 4 MMT, taking global carryout down from the 189.6 MMT forecast a month ago to 185.3 MMT. In other news, the USDA announced a 107,255 MT export sale of sorghum to China for 2015/16 delivery as they continue to import large quantities of other alternative coarse grains. Chinese barley imports were also increased by 1.5 MMT to 6 MMT. Mar 15 Corn closed at $3.82 1/4, down 1 cent; May 15 Corn closed at $3.88, down 3/4 cent. Wheat: The wheat market closed higher as the USDA trimmed back 2014/15 US all wheat ending stocks a tad from 692 million bushels to 691 million. The trade was expecting an increase to around 703 million. US 2014/15 exports were seen unchanged at 25 MMT. Some were expecting a reduction there given the strength of the US dollar and recent largely disappointing export sales. On a global level, world ending stocks were little changed at 197.7 MMT, as was consumption at 714.5 MMT. World exports too were virtually unchanged at just over 160 MMT, with the EU grabbing a larger share of the cake (up 500,000 MT to 31.5 MMT) and Argentina a smaller slice (down 500,000 MT to 5.5 MMT). In other news, in Brazil the Parana wheat area for new crop is seen virtually unchanged, despite local prices having fallen 26% year-on-year. This is due to the fact that soybeans in the state were planted late, meaning that the optimum time for planting safrinha corn is already passed. This leaves the state's growers with a stark choice between planting wheat of nothing. 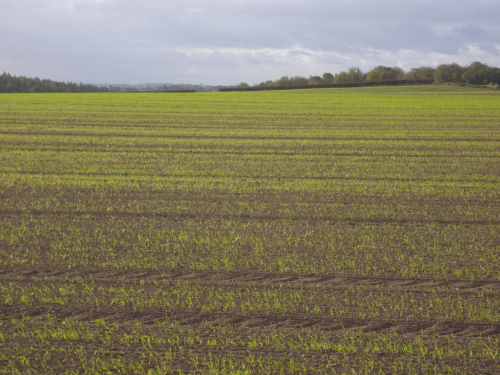 Winter wheat planting usually takes place April/May, and production later this year is currently estimated 8% higher than last year's frost damaged crop at 4.1 MMT - which is about two thirds of national production. The Indonesia Flour Millers Association estimated the nation's wheat imports up 5.5% at a record 7.8 MMT versus the USDA's 7.7 MMT estimate. Mar 15 CBOT Wheat closed at $4.96 1/2, up 2 1/4 cents; Mar 15 KCBT Wheat closed at $5.34 3/4, up 5 3/4 cents; Mar 15 MGEX Wheat closed at $5.51 3/4, up 3 1/2 cents. 10/03/15 -- EU grains closed mostly lower, consolidating heading into the release of the March WASDE report from the USDA due at 5pm London time. The day ended with Mar 15 London wheat down GBP1.05/tonne at GBP116.45tonne, May 15 Paris wheat was down EUR1.25/tonne at EUR186.00/tonne, Jun 15 Paris corn rose EUR1.2/tonne to EUR162.00/tonne and May 15 Paris rapeseed was down EUR0.25/tonne at EUR365.50/tonne. The pound rose above 1.40 against the beleaguered euro for the first time since late 2007 as the ECB set about its new QE measures. Continued fears over the implications of a Greek exit from the eurozone were also a factor. The USDA made few changes to their world wheat production estimates for 2014/15, with the global crop trimmed fractionally from 725 MMT to 724.8 MMT. They did however make some adjustments to world trade, with the EU forecast to increase exports this season to 31.5 MMT, up 500,000 MT from previously, and just behind last season's record 31.9 MMT. EU 2014/15 wheat ending stocks were subsequently trimmed from 16.3 MMT to 15.8 MMT. "The EU first overtook the United States as the world’s top wheat exporter in 2013/14 and the gap is projected to widen in 2014/15. The EU has a record crop and is the world’s most competitive supplier. French wheat has been priced below Black Sea for much of the season, due in part to lower-than-average quality," the USDA said. "Although Russia and Ukraine shipped at a record pace during the first half of the marketing year, trade is expected to plunge on Russia’s export duty and Ukraine’s voluntary export limits," they added. There were changes too to world trade in barley, with China's imports increased from the 4.5 MMT forecast previously to 6.0 MMT. EU exports were upped from 6.7 MMT to 7.5 MMT. EU barley ending stocks were subsequently cut from the previous estimate of 6.3 MMT to 5.5 MMT. "China is traditionally the world’s largest malting barley importer; however, starting last year, imports of barley for feed use surged. This comes as China’s appetite for imported coarse grains has grown more than 25 percent year to year, to nearly 16 MMT," the USDA said. "The EU, with its barley exports forecast the highest in 15 years, stands to gain the most this year from China’s growing demand. This comes after 2 years of good EU crops and as barley and other feed grain prices have fallen following 2 consecutive years of record world corn production," they added. In other news, Russia said that they had exported 24.7 MMT of grains so far this season, a 29.7% rise on a year ago. That total includes 19 MMT of wheat, 3.8 MMT of barley and 1.6 MMT of corn. Russia's seaports shipped 293,500 MT of grains in the week through to Mar 8, of which 90,700 MT was barley, 65,900 MT was wheat and 30,800 +MT was corn. 09/03/15 -- Soycomplex: Beans closed higher on short covering and position squaring ahead of tomorrow's USDA report. Weekly export inspections of 625,713 MT were slightly down on the previous week, but in line with expectations. There's some talk that the Brazilian truckers strike could re-ignite if this week's talks with the government don't go well. Reuters reported 82 vessels waiting to load soybeans in the country as of Friday, up from 51 ships the previous Friday. The USDA's FAS estimated China's soybean import needs at 73 MMT, up 3.7% on last season but 1 MMT below the current USDA number. They see 2015/16 imports continuing to rise though, up 6.2% to a record 77.5 MMT next season. Chinese soybean production next season meanwhile will fall to a 23-year low of 11.7 MMT, they said. Dr Cordonnier said that soybean yields in Brazil's top producing state of Mato Grosso are only up 3% in the last 15 years, versus 17% nationally and up 46% in Rio Grande do Sul. The retarded growth is due to the new trend towards planting more and more early maturing varieties so that a second corn crop can be squeezed in, he said. The safrinha corn area in Mato Grosso has expanded 12-fold in the same time period, he added. Brazil's 2014/15 harvest is said to be around 40-50% complete, with production estimates getting trimmed to around the 93 MMT mark. The USDA were 94.5 MMT last month. The average trade guess for Argentina tomorrow though is closer to 57 MMT than the 56 MMT forecast by the USDA in February. US soybean ending stocks are forecast to be pared back from last month's 385 million bushels to around 377 million. Mar 15 Soybeans closed at $9.88 1/4, up 9 cents; May 15 Soybeans closed at $9.93 1/4, up 8 1/4 cents; Mar 15 Soybean Meal closed at $343.90, up $6.90; Mar 15 Soybean Oil closed at 30.88, down 26 points. Corn: The corn market closed around 2-4 cents firmer. Another robust set of weekly export inspections, almost reaching 1.2 MMT, added some support despite the strong US dollar. This figure was slightly lower than last week's near 1.3 MMT total, but still beat expectations. Notable destinations were Korea (260,840 MT), Japan (175,587 MT) and Columbia (153,783 MT). Even so, year to date inspections are still lagging the 5-year average pace of 47.5% of the USDA target for the season by 3 percentage points. Tomorrow's USDA report isn't expected to reveal anything too different for corn than the February report. The range of US carryout expectations is from 1.777 – 1.899 billion bushels. The average guess is 1.822 billion, which is only slightly lower than their February figure of 1.827 billion. As with soybeans, there could be a small reduction to the size of the 2014/15 Brazilian crop, although this could be counterbalanced by a corresponding rise in Argentina. South Africa's crop will likely be cut. Brazil's first corn crop harvest is well advanced and sowning of the safrinha crop is past three quarters done. Argentina's 2014/15 harvest is just getting going, held back by heavy rain. Ukraine is now concentrating almost all of it's export effort on corn. APK Inform Agency said that Ukraine seaports exported 648,600 MT of grains last week, with corn shipments accounting for 563,300 MT, or 87%, of that total. Russia said that as of Mar 4 they had exported 1.6 MMT of corn this season. The early planting state of Texas is 6% sown with their 2015 corn crop already, although that's less than the 15% 5-year average at this time. "Today’s trade felt a lot more about tomorrow’s reports than today’s news with pre-report positioning taking place. Weak shorts seemed to be in the market early trying to cover and the balance of the day was quiet," said Benson Quinn. Mar 15 Corn closed at $3.83 1/4, up 4 cents; May 15 Corn closed at $3.88 3/4, up 2 3/4 cents. Wheat: The wheat market made a fair attempt to lead the entire complex higher overnight, although ending with decent gains it only finished around the middle of the day's trading range. Much of today's gains can probably be linked to the fact that fund money is now sitting on a very sizable short in Chicago wheat, and decided to bank a few profits ahead of tomorrow's USDA report just in case Washington decides to spring a surprise. We all know that they are capable of throwing in a bit of a curveball sometimes, although it may be unlikely that the March report is the one in which they will do so. 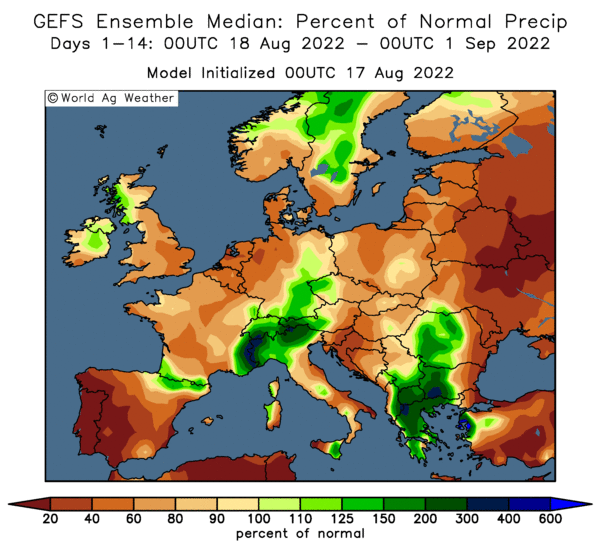 "Talk of dry conditions in the near term in the southern plains, N. Europe and portions of the Black Sea region complemented today’s technical move. Given the time of the year and a slightly drier bias for many key wheat growing areas, some weather premium in these markets is merited," said Benson Quinn's Brian Henry. Few would bet that the wheat market, particularly that in the US, has turned around just yet though. The US dollar continues to thwart US export hopes. Weekly export inspections today were 376,210 MT, well below the 480,754 MT inspected last week, as Europe keeps picking up the lion's share of the business aided by the weak euro. The lack of US exports means that the USDA are expected to raise US all wheat ending stocks for 2014/15 by around 10 million bushels to 703 million in tomorrow's WASDE report. Russia said that they'd exported 24.7 MMT of grains so far this season, of which almost 19 MMT, or 77%, was wheat. 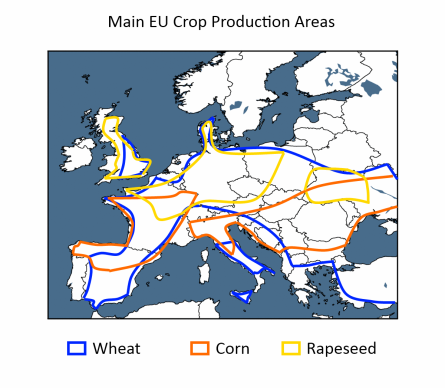 The European Commission forecast the 2015/16 EU-28 wheat crop at 150.8 MMT, a 4% decline on last year. However, with exports falling 12% to 28.2 MMT, next season's ending stocks will rise by 40% to 19.5 MMT, they predict. Texas winter wheat was rated 50% in good to excellent condition, and 13% poor/very poor, which isn't bad for that particular semi-arid state. Mar 15 CBOT Wheat closed at $4.94 1/4, up 8 1/2 cents; Mar 15 KCBT Wheat closed at $5.29, up 8 1/4 cents; Mar 15 MGEX Wheat closed at $5.48 1/4, up 6 1/4 cents. 09/03/15 -- EU grains closed higher to start the week, on what looks like short-covering ahead to tomorrow's USDA report. At the finish, Mar 15 London wheat was up GBP1.25/tonne at GBP117.50/tonne; Mar 15 Paris wheat was EUR3.25/tonne higher at EUR184.25/tonne; Jun 15 Paris corn was EUR1.75/tonne firmer at EUR160.75/tonne; May 15 Paris rapeseed was EUR3.25/tonne higher at EUR365.75/tonne. Fresh news was relatively scarce ahead of the data from Washington tomorrow. Fund money is heavily short in Chicago wheat, which maybe explains why that was the unusual leader of the overnight Globex market's charge higher. EU grains went along for the ride. Better gains for Paris wheat relative to those in London today are perhaps easily explained by the continued euro weakness, along with the fact highlighted in Friday night's report that the French market fell much more heavily last week than our local one. Front month Mar 15 Paris wheat also goes off the board tomorrow, so some technical issues could also be behind tonight's close of that particular position. What limited fresh news was about actually lent a bit bearish. Late Friday, FranceAgriMer reported French winter wheat crop conditions at 91% good to very good, a one point rise on a week previously, and far higher than 74% this time a year ago. Winter barley ratings were left unchanged on last week at 90% good to very good, up from 72% a year ago. French spring barley plantings are said to be 24% complete, that's only up 2 points on the previous week, but again much better than only 3% sown at this point in 2014. The crop is 7% emerged versus 2% a year ago. French wheat exports in January are placed at 1.4 MMT, taking the season to date total (Jul14-Jan15) to 9.9 MMT, of which 5.3 MMT has gone outside the EU and 4.7 MMT to fellow bloc members. The European Commission forecast the coming EU-28 wheat crop at 150.8 MMT, a 4% decline on last year, in it's first peak into 2015/16. Wheat exports were forecast down even more though, falling 12% to 28.2 MMT. The latter means that 2015/16 ending stocks will rise, despite the lower output estimate, up by 40% to 19.5 MMT, they predict. The Commission estimate the 2015/15 EU-28 barley crop rising 1.6% to 68.4 MMT. As with wheat, barley exports are also forecast lower in 2015/16, down 5.3% at 9.0 MMT, with ending stocks up 8.3% to a five year high 10.4 MMT. A relatively benign European winter has resulted in limited crop damage, they said. For rapeseed, they see production down 12.4% at 21.1 MMT. Ending stocks are expected to decline 30% to 1.2 MMT. Tomorrow's USDA report won't give us any estimates for 2015/16, they aren't expected until May.